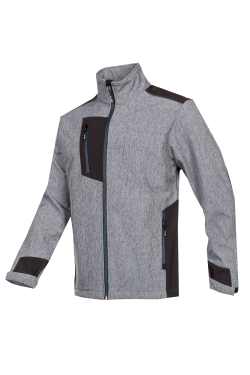 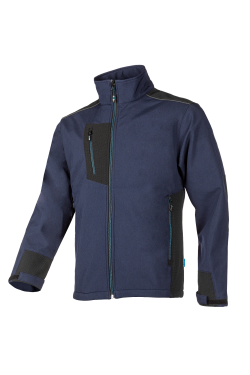 We are happy to present you the Garlin, a close-fitting 3-layer laminated softshell jacket that protects you against rain and wind. 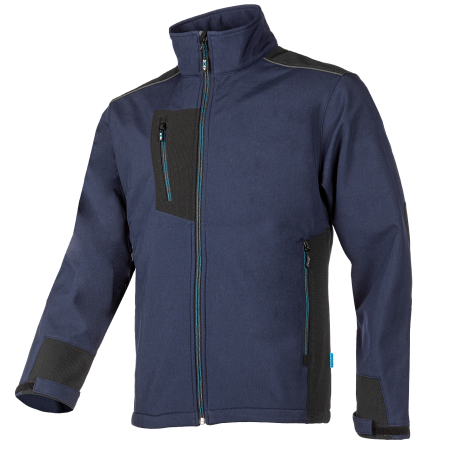 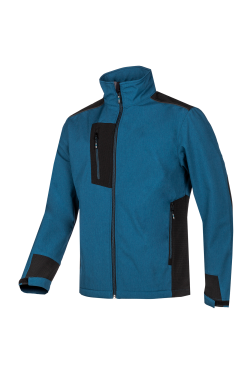 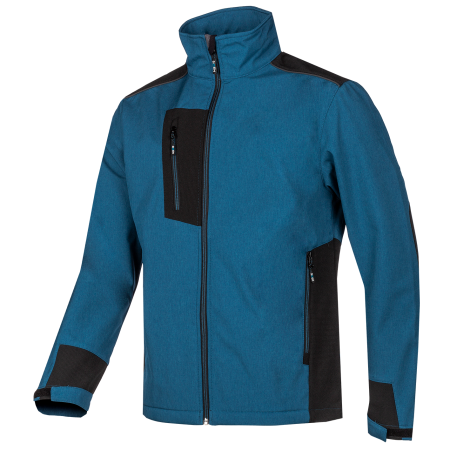 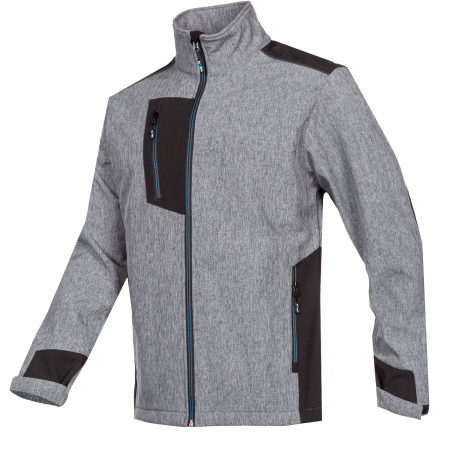 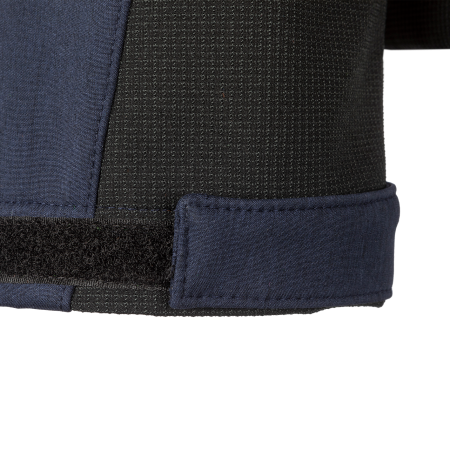 The standing collar and the touch and close sleeve narrowing offer extra protection against the wind. 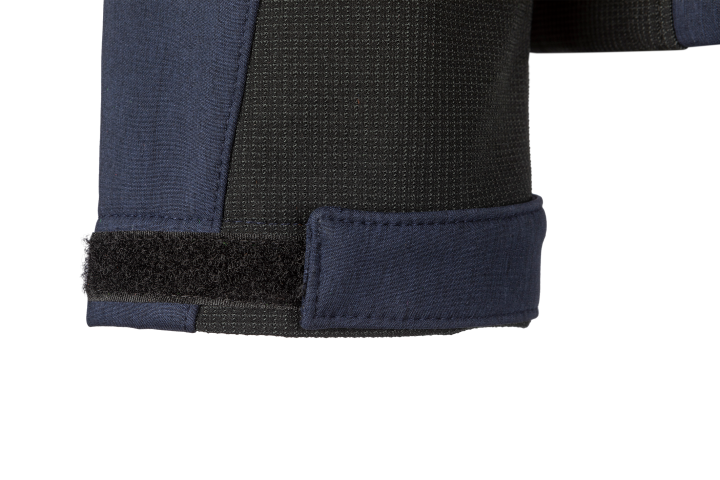 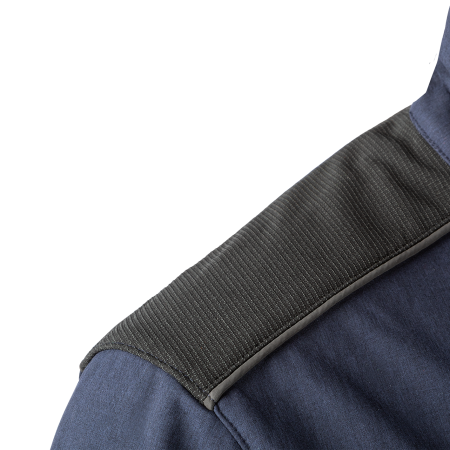 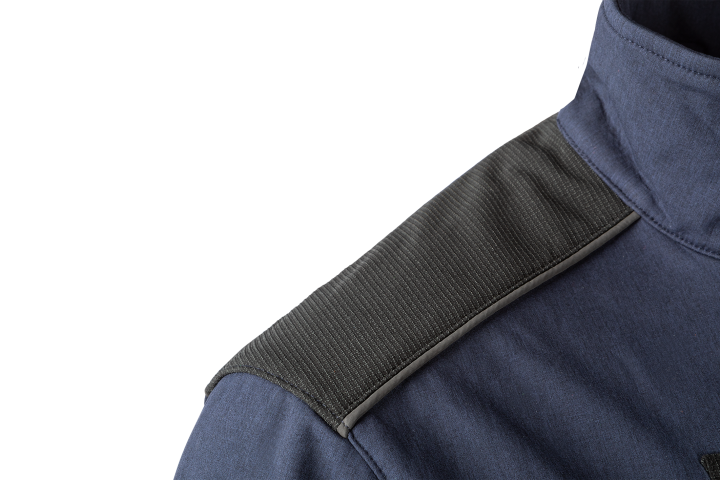 Wear-intensive areas such as the shoulders and elbows have been reinforced. 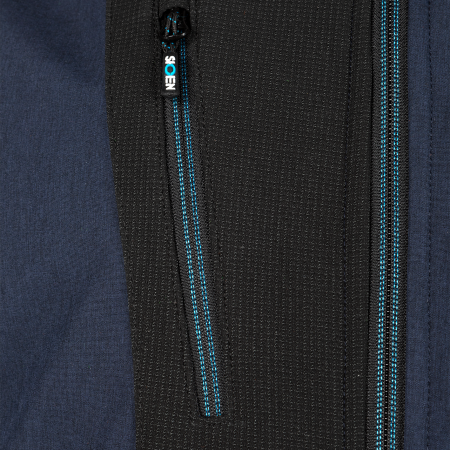 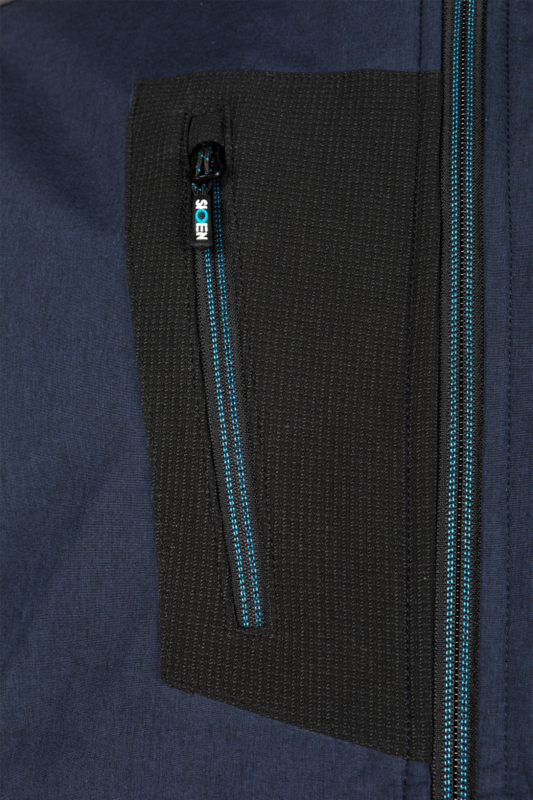 The Garlin is not only practical with its two inside pockets, one vertical chest pocket and two inset pockets on the outside, it is also stylish with cyan coloured stitches.